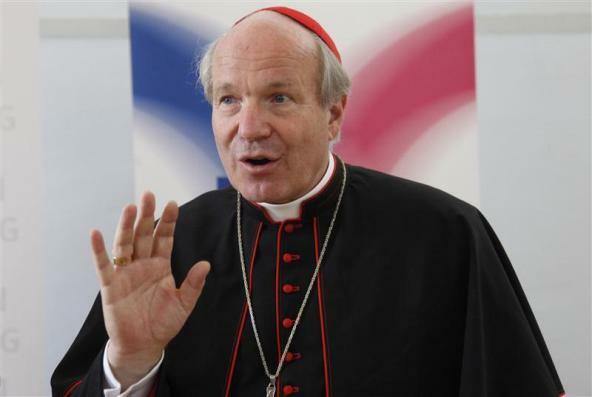 In early October, the Bishop of Osnabrück, Franz-Josef Bode, will take part in the global synod of bishops on the subject of family in Rome. In an interview with the Catholic news agency KNA, he commented on his expectations for this meeting. KNA:. Bishop Bode, what kind of atmosphere do you expect at the Synod of Bishops? KNA: A major topic will be those who divorced and remarried. You yourself have advocated allowing those affected back to receiving Holy Communion, under certain conditions. Which? Bode: Marriage is indissoluble according to the will of Jesus. Marriage is entered into with a sacrament, which is never just dissolved. Through the weakness of humans this life relationship can nonetheless break up and fail. People can come to a new relationship, which is more mature, but does not have the same sacramental value as the first. The question is, whether this new reality, which perhaps expresses the covenant between God and humans better than the first, must always have the consequence of exclusion from confession and communion. We should include the question, what circumstances have led to the breakdown of the marriage. Sofar we have treated all alike, whether they bear the blame or not. Moreover, this is connected to a question of the understanding of the Eucharistic celebration. 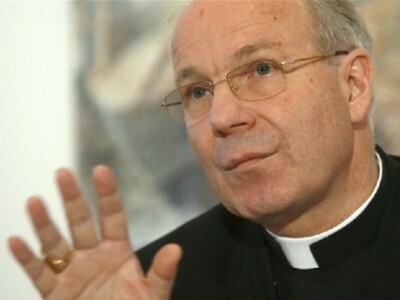 Is it really only the representation of a complete unity in faith and the Church, or is it also a help for journies through life which have their wounds? And that people can’t express that in Confession and receive forgiveness for it, I find that almost more difficult than the question about Communion. KNA: A big issue will be the dealings with homosexuals and a religious recognition of their stable partnerships. Is there any indication of a solution for that? Bode: The Catechism makes clear that we do not discriminate against these people. As with others who live together before marriage, so also with them we should recognize their strengths and not only their weaknesses and shortcomings. But civil unions are not to be equated with marriage. Marriage for us is the relationship of husband and wife, from which can come children. The Church can help and assist life partnerships in conversations and in positive companionship. However, it is not possible to give anything which is tantamount to marriage. But we will be able to accompany their path with prayer and a private form of blessing. KNA: Where people live in fidelity and dependability, can there be recognition from the Church? KNA:. What opportunities do you see for uniform solutions for the Catholic Church worldwide? Bode: There is always a chance, because we mutually believe in one Christ, because the basis is the Scripture and because we have a tradition of the Church as a whole. Indeed that was always the advantage of the Church, that it builds a community irrespective of borders and across cultures. But in the fundamental concept of marriage and family there is unanimity. Regarding the homosexual way of life, we must accept a greater diversity between cultures. KNA: What will change about pastoral care after the synod? KNA: Conservative and reform-minded bishops get together in Rome. Are they really outspoken behind closed doors? Bode: I hope for a climate in which the different positions can be expressed openly. And in fact, not just in the three minute statements at the beginning of the synod, but also among themselves in small groups. That must occur in a really matter-of-fact manner. For this, elements of prayer, balancing, retreating and meeting again are important. Most of all, it needs time. I do not know how far we will come in three weeks. KNA: How important is the participation of the non-clergy? Bode: We cannot indeed as clergy and men discuss by ourselves family issues. It is absolutely necessary that married couples are involved. In addition, very honest statements are flowing in from the surveys. Furthermore, the bishops spoke beforehand with advisers and married couples, especially with women. KNA: How important is your own family to you as a man living a celibate life? Bode: I have four older sisters. All four sisters and two children have married. And they already have now eight children in turn. As an uncle and grand uncle, I am well aware of completely normal family life. Unfortunately, two of my sisters have already passed away, so that I am also acquainted with this situation of serious illness and widowhood. In my circle of friends, I have friends whose marriages have failed and have made a good new beginning. In addition, I meet regularly with the six married couples of a family circle from the parish in which I was the pastor. I am very involved with my family. Yes, I come from a family of divorced parents. My father remarried. My grandparents were already divorced. So I very soon got to know the patchwork situation. I practically grew up in this reality, which is the reality of life of many people today. But I also experienced the essential goodness of the family. Despite all crises, all ideologies that we must denounce and call clearly by name, despite all this, marriage and family are the basic cell of human life and society. I personally felt that in the Synod was a lack of two elements: attention to children and consideration of the family as a vast network of relationships (including grandparents, grandchildren, uncles and aunts …). It seems to me that the Synod has been had ​​to present the nuclear family consisting of wife, husband and children, and has considered the situation from the point of view of the spouses. Do you not think that looking on from the point of view of the children and consider the families linkages that that they are able to create would allow evaluation of things differently, more completely?